Matthew DeCarlo has been in digital publishing for more than a decade, during which time he has authored and edited thousands of technology articles including industry news, hardware and software reviews, product buying guides, how-tos, editorials, in-depth explainers, trivia and more. He’s a veteran at computer repair, has been infatuated with PCs since playing The Oregon Trail and is fascinated by future technologies such as IoT, AI and nanotech. Having worked remotely throughout his career, Matthew has hands-on experience with many VoIP and collaboration platforms and is always eager to test new software. 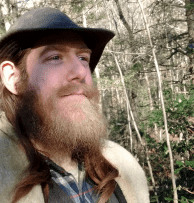 Along with a lifetime of sponging information on subjects spanning from pet psychology to copy style guides, he has spent years pursuing minimalist outdoor living and exploring the primitive roots of mankind. Side interests include health / wellness, cycling, strength training and fishing. When not in front of a PC, he can be found anywhere that trees might be.